Photo: Courtesy of Gregor Röhrig. All Rights Reserved. Shehnaaz oversees the finance hub at SSN, and is the Director of the Climate and Development Knowledge Network (CDKN) programme. Previously, Shehnaaz was the African Regional Coordinator for CDKN (2013-2017) and the Climate Resilience Lead for the Climate Resilient Infrastructure Development Facility (CRIDF). 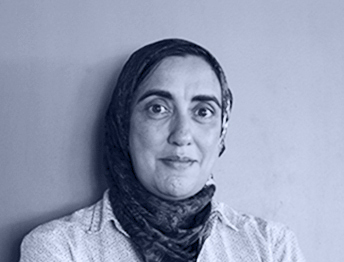 Shehnaaz has overseen SSN’s Southern Africa Climate Finance Partnership (SACFP) programme since 2016. She has deep theoretical and practical expertise in delivering complex programmes addressing climate change within the African context. She previously consulted on a range of projects for the South African public sector, including managing the National Strategy for Sustainable Development, and she provided technical input to the waste service delivery and capacity assessment, and municipal infrastructure investment model. 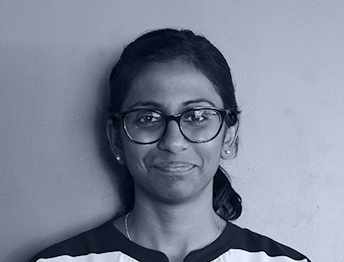 Prior to joining SSN, Shehnaaz was a researcher and lecturer in the department of Chemical Engineering at University of Cape Town. Carl’s management portfolio at SSN includes responsibility for risk and compliance. He also leads SSN’s programme on Mobilising Investment for NDC implementation as well as the Small Grants Facility under the Adaptation Fund. He was previously the Climate and Development Knowledge Network (CDKN) Director for the African region. Prior to joining SSN, he championed the implementation of the award winning Kuyasa Clean Development Mechanism (CDM) project, the first CDM project in Africa, through which he developed an interest in thermal and energy-efficiency in low-income housing. Carl started his development career working in human rights and good governance. He spent 6 years with Lawyers for Human Rights working on rural access to justice before moving to Kenya, where he designed and managed a large-scale civic education programme and did consulting work in the region. Carl holds a BA.LLB degree from the University of Cape Town and is an attorney admitted to practice in the High Court of South Africa. Geraldine Kwenda is the Human Resources Manager for SouthSouthNorth. She is responsible for all talent management and HR-related activities within the organization to ensure optimal contributions to a people-positive work environment. 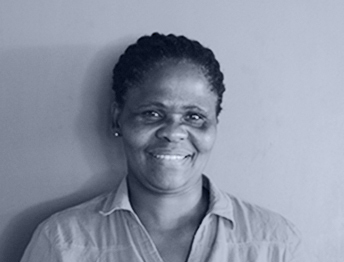 Geraldine has a Social Sciences degree in Labour, Organisational Psychology and HR management as well as an Honours degree in Organisational Psychology and a Practical Labour Law certificate obtained from the University of Cape Town. Geraldine has worked in corporate settings and has experience in specialist recruitment for the mining industry, business development in the Tourism and Hospitality sector as well as the NPO space where she worked with HIV/AIDS. Outside of work Geraldine enjoys hiking, wine-tasting and kicking back with friends. Kamleshan Pillay is a technical advisor for the IKI funded Mobilising Investment for NDC Implementation project. Within his previous experience, Kamleshan has had the opportunity to undertake climate finance projects for the South African Government (Department of Environmental Affairs), the Norwegian Government (Climate and Environment Department (KLD), Ministry of Foreign Affairs), International Organisations such as UNIDO, SADC, UNDP (Somalia and South Africa) and major donor entities such as NORAD. Kamlesh still enjoys being in a kitchen having worked as pastry chef prior to becoming involved in the environmental sector. Charlotte provides research and technical support on issues of international climate finance, including work on private sector finance and international climate fund processes. Charlotte also co-leads the Finance Thematic Working Group of the IKI NDC Support Cluster, in addition to working on various issues in the UNFCCC climate negotiations, including providing support to the Africa Group of Negotiations (AGN). Charlotte has previously worked on water-infrastructure related projects, including the Climate Resilience Infrastructure Development Facility (CRIDF), assessing the climate finance readiness of water institutions. Her interests lie in in promoting sustainable development in the African context, and supporting the identification, design and integration of innovative solutions that address climate and environmental challenges into public policy. 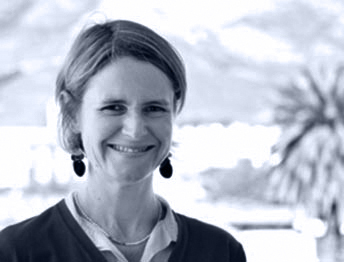 Charlotte holds a Master’s Degree in Applied Development Economics from the University of Cape Town. Clare is the Contracts Office Manager at SSN. She oversees the contracting process and manages the contractual relationships for all SSN programmes. Outside of SSN, she is involved in publishing a monthly tax law journal for The Taxpayer and various other titles for Cederberg Publishers. 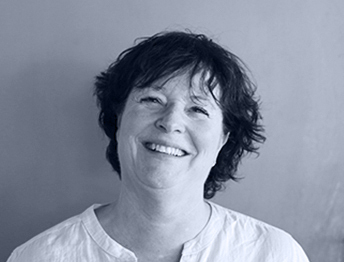 Clare holds a BA in English; History of Art, an LLB, and an LLM in Taxation. Owiti is a Research Fellow providing support to the coordination of Future Climate For Africa. His background includes undergraduate and Master’s degrees in Meteorology and a PhD in Climate System and Global Change. His interests include integration of climate information and products in policy development, planning and practice in various sectors. He previously worked as a Science Secretary at the Kenya National Commission for Science, Technology and Innovation and also held the position of Climate Scientist at the IGAD Climate Prediction and Applications Centre (ICPAC). Robyn provides knowledge management and communications support to the SSN programmes, as part of the Knowledge Management Hub. 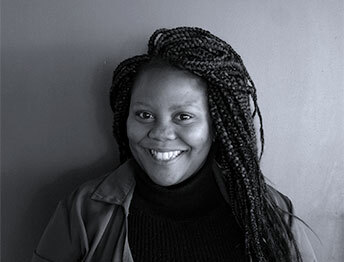 She holds a master’s degree in Sustainable Development, from Stellenbosch University, a Bachelors in Anthropology and African History, and a PGD in Marketing and Communications. Prior to working at SSN, Robyn was involved in a number of sustainable development projects working on rural development, urban food security, gender inequality, and wildife conservation. Robyn is pasisonate about the food system and spends her spare time reading, writing, growing and of course eating food. Josh leads on learning and knowledge management at SSN. He has extensive experience as a communications specialist, media researcher and a journalism educator. 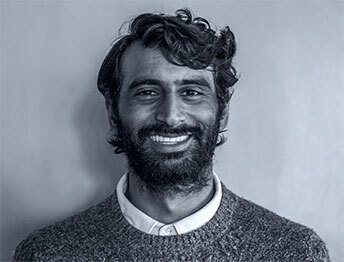 Josh has worked for a range of international non-governmental organisations in the fields of sustainable development, gender, and environmental and social justice. Between 2010 and 2016, he taught an MPhil module in Media, Democracy and Development at the University of Stellenbosch Journalism department, and serves on the editorial board of the Global Media Journal – Africa. A Kenyan national, Josh holds a BA (Hons) in Political Science and French, and a Masters degree in Communication and Development Studies. When he is not devising KM strategies or debating the Human Condition, he splits his time between his spoilt dogs and his passion for ultra-distance running. Andrew leads the finance hub at SSN. He is a qualified South African Chartered Accountant with a B. Comm and PGDA from the University of Cape Town. He has lived extensively overseas, first in London for three years and then in Grand Cayman for six years. 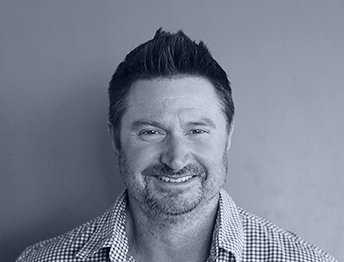 Andrew is an avid diver and holds Open Water, Advanced Open Water and Nitrox Diving Certificates. Whilst in Grand Cayman, he completed over 400 dives and gained the nickname Compass Day for occasionally losing direction whilst leading long dives. John spent more than 20 years working in the banking industry before venturing into the world of entrepreneurship running a pub, a pie shop and eventually a chauffeur business. John joined the SSN team in 2014 and supports the team with logistics, transport and at reception. Emma provides knowledge management, communications and project management support to SSN programmes, as part of the Knowledge Management Hub. She co-ordinates communications for the Climate and Development Knowledge Network (CDKN) and supports other SSN projects with their knowledge management needs. She holds a BA Geography degree from the University of Exeter, UK, and a Master’s in Climate Change and Development from the University of Cape Town. Prior to starting at SSN, Emma worked in Uganda and Sierra Leone on projects related to climate change, clean energy and eco-tourism. In her spare time, Emma attempts to ‘bend it like Beckham’ in a 5-aside football team. Ncumisa is part of the Knowledge Management Hub where she provides support to SSN communications and projects. She holds a Journalism degree from the Cape Peninsula University of Technology and a Diploma Certificate in Environmental Education. Prior to working at SSN, Ncumisa worked for the Anglican Church of Southern Africa’s Environmental Network as a communications and training officer in Southern and Central Africa on Earth Keeping and Care for Creation projects. Her interests are environmental humanities and climate justice. Lisa McNamara is a Programme Manager at SSN, with expertise in knowledge management and urban resilience. She is the Knowledge Networks Coordinator for the global Climate and Development Knowledge Network (CDKN) programme, where she is responsible for providing tailored and useful climate knowledge to developing countries to support action on climate change. 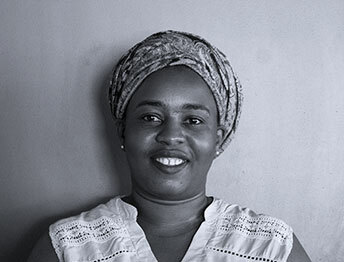 Lisa was previously the Africa lead of CDKN’s knowledge management programme (2011-2014) and later oversaw the delivery of CDKN’s country programmes and technical assistance projects in Kenya and Rwanda (2014-2017). 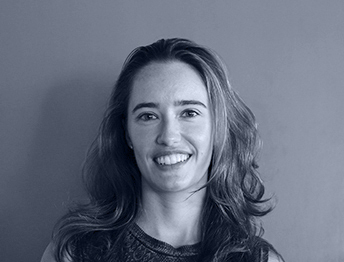 Previously Lisa worked at the Environmental Management Department at the City of Johannesburg, where she focussed on city-level adaptation planning as well as sustainable energy in low-income housing. She holds a BA Honours in Development Studies and a MSc in Environmental Studies. Ameil is a Junior Technical Advisor at SSN and provides support on a range of issues including climate finance, off-grid renewable energy, Agriculture, Forestry and Other Land Use (AFOLU), and water infrastructure-related projects. 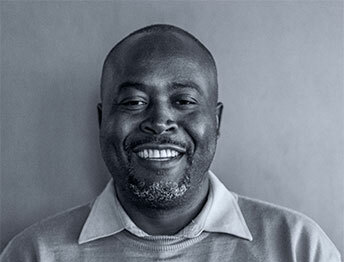 He is the co-lead on Gender Equality and Social Inclusion and Environmental Social Safeguards for the Southern Africa Climate Finance Partnership and coordinates the Mobilising Finance workstream of the Climate Resilient Infrastructure Development Facility (CRIDF). In addition, Ameil is the Learning Coordinator for the IKI Mobilising Investment for NDCs project. Ameil has a background in marine biology and applied biology, with his research focused on marine ecosystem response to climate change. In his spare time, you’ll find him living out of a backpack and exploring. 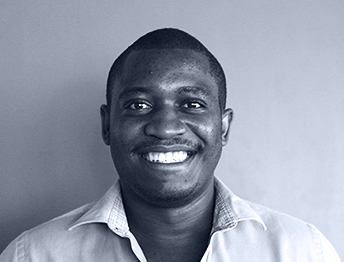 Julio is a Research Officer for Future Climate For Africa, overseeing small research projects and leading on a pilot project for Rwanda’s climate and environment fund (FONERWA) to help integrate climate considerations into fund operations. He also provides support to the WISER Transform project, contributing towards a guidance manual on co-production approaches. 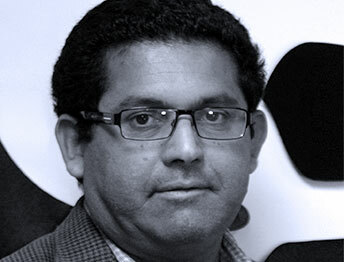 Julio’s past work has focused on agricultural adaptation to climate change for a range of vulnerable cropping systems in South Africa and Rwanda, with a particular interest in viticulture and coffee. Julio holds a BSc in Environmental & Geographical Science as well as a BSc Honours and MSc in Atmospheric Science from the University of Cape Town. Julio is an enthusiastic hiker, having taken on over 2000km of the pacific crest trail as well as a number of high mountain peaks in Africa and America. Thabang is SSN’s Operations Co-ordinator. She is currently implementing SSN’s move from one financial platform to another, and has been overseeing its assessment, design, monitoring, evaluation, and implementation. Thabang will be providing business intelligence reports internally and externally, as well as financial reporting for SSN programmes. She will also be overseeing SSN’s IT operations. 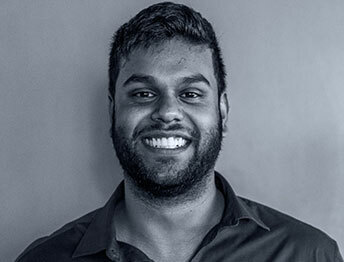 Thabang has an Honours degree in Information Systems from the University of Cape Town, studying programming, business intelligence, mobile app development and SCRUM. Blaise Dobson works on a number of SSN’s projects that interface with the financing of activities taken to address climate change. Blaise coordinates with the collective team to foster collaborative relationships with other organisations working on matters relating to climate finance. Blaise holds a postgraduate degree in business, economics and law. In addition, he is currently reading towards a Master’s in Commerce in Development Finance at the University of Cape Town’s Graduate School of Business. His research interests focus on the use of venture capital to drive clean-technology entrepreneurship in emerging markets. In his spare time, Blaise writes articles for a blog on Net Zero Emissions. 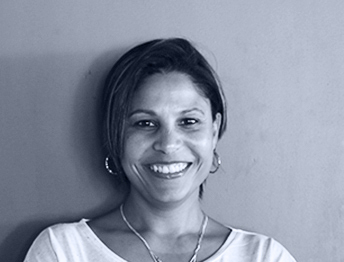 Lee-Ann is responsible for the financial management of all SSN projects. 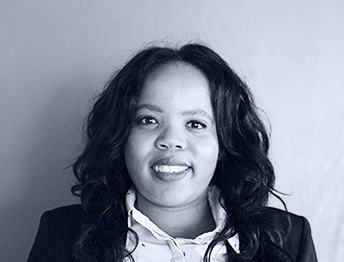 She is registered with the Chartered Institute of Management Accountants and has over 15 years’ experience in financial management in the Private Equity Investment, Property and Import &amp; Export industries in South Africa. 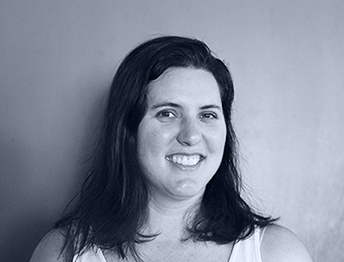 Lee-Ann holds a Diploma in Project Management from the University of Stellenbosch, and a Diploma in Bookkeeping and Practical Accounting including HR and Payroll. Lorraine is a Project Manager for the Small Grants Facility (SGF) project, mostly managing the operations components of the project. 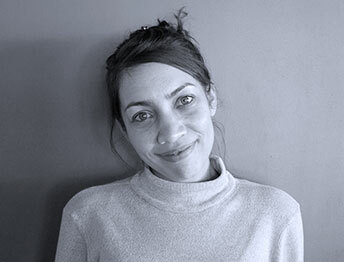 Prior to this she was the Knowledge Management and Events Coordinator for the MAPS Programme that facilitated collaboration between South Africa and select Latin American countries to establish the evidence base for long-term mitigation scenarios; and Project Coordinator for the Sustainable Settlements Facility project, that explored financing mechanisms for scaling up energy efficiency interventions for low-income public housing. Lorraine holds an Honours Bachelor of Commerce in Marketing Management. 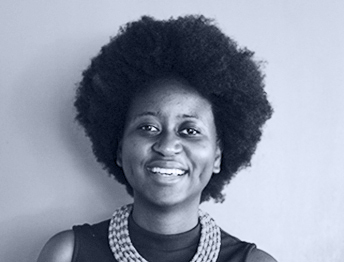 Simbisai currently works on the Southern Africa Climate Finance Partnership where her role is focused on monitoring, evaluation and learning, and the Africa LEDS Partnership, where her role is focused on strengthening partnerships and enhancing regional engagement. 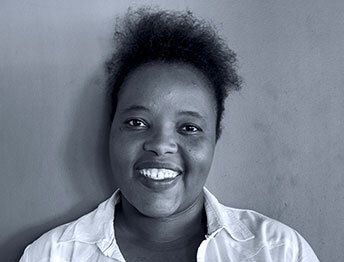 Previously Simbisai led the Rwanda country programme for the Climate and Development Knowledge Network (CDKN). In addition, Simbisai has worked on projects related to mainstreaming climate change into development planning and water infrastructure, promoting dialogue and partnerships between policy and science stakeholders, national adaptation planning and climate finance, working at the national level with governments in Africa. Her interests include the political economy of climate change in African countries, climate finance and policy design and implementation. Simbisai is in her final year of a Master of Philosophy in Development Policy and Practice degree at the University of Cape Town. Richard Sherman is the substantive lead on SSN’s climate finance programme. Richard is a member of the South African delegation to the UNFCCC and also serves as one of the African Group lead coordinators on climate finance negotiations. He served as adviser on the South African Co-Chair’s team during the formulation of the Governing Instrument of the Green Climate Fund. He also served as the lead adviser to the first developing country Co-Chair from South Africa during the time of the development of the business model framework of the Fund in 2013, and again in 2016. He has also been one of the African representatives on the Standing Committee of Finance, between 2014 and 2018, that is mandated to oversee coherence between the funds under the financial mechanism of the Convention. Outside of climate finance, Richard enjoys walking his dog. 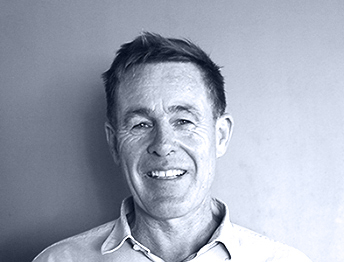 John runs SSN Consulting, which provides advisory services to selected early-stage projects and companies that are innovating in the low carbon and green economy space. Sectors covered include renewable energy, waste to energy and real estate, both in the low and middle income sectors. 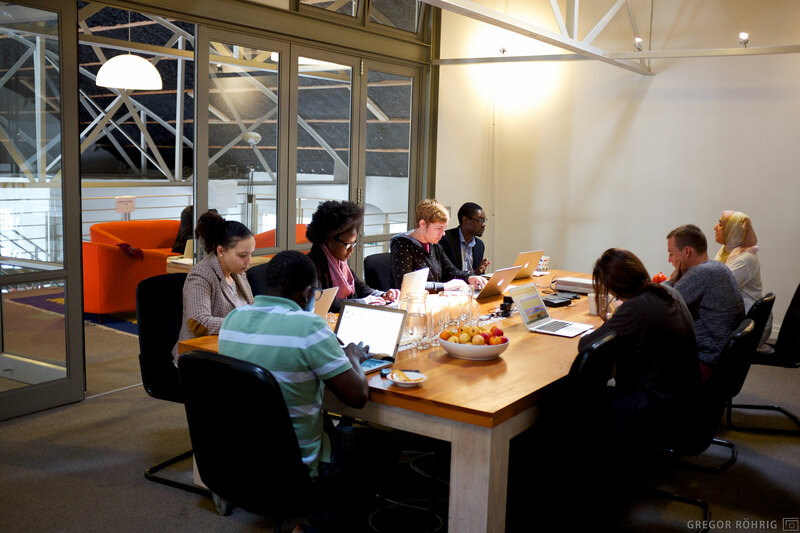 Services include sustainability interventions, structuring and assisting companies to secure finance. In addition, SSN Consulting collaborates with partners to develop its own project portfolio. John is a successful entrepreneur who has founded and exited a number of high tech start-ups and raised venture capital several times. He has an MBA and an MBChB and spent his early career working in rural hospitals in Southern Africa. John is the chairman of a Conservancy in the village of Vermaaklikheid and has raised funds from the GEF to implement a livelihoods programme based on conservation and climate change adaptation. Jessy is a Project Manager at SSN, working in the consulting arm of the organisation. 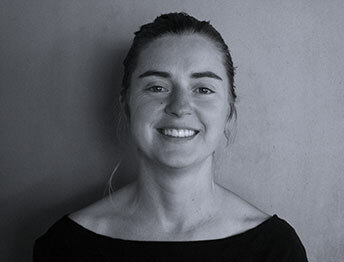 Jessy is currently working on several projects spanning the improving energy access in sub-Saharan Africa, climate finance to ecosystem- and community-based adaptation. Through her current work, she pursues the unlocking of potential and opportunities on the continent by delivering solutions to address prevailing socio-economic challenges. Jessy holds an MSc in Environmental and Geographical Science from the University of Cape Town. The focus of her thesis was on food security and the lived experience of a rapidly changing food system in Mauritius. Jean-Pierre heads up SSN’s Climate Services Hub, responsible for applied research, communications, capacity development, and M&E for several climate services-oriented projects: most notably, this includes Future Climate for Africa. He is interested in designing and implementing effective and efficient sustainable development programmes, with a focus on regional climate science, adaptation and low carbon development projects. 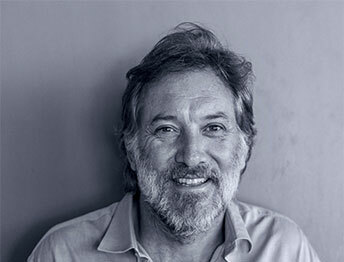 Jean-Pierre holds an Honours degree in Philosophy from the University of Cape Town and a Master’s in Environmental Policy from Oxford. 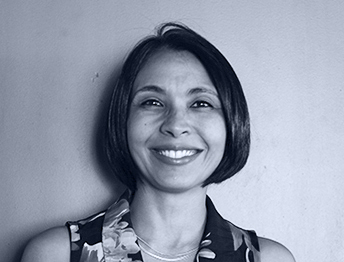 Karen is part of the Knowledge Management Hub, where she leads on design, including printed and online materials. She also supports on database management, management of web resources and logistical assistance for webinars and conferences. 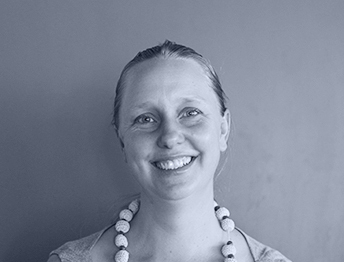 Before specialising in Knowledge Management, Karen was the project coordinator for the Kuyasa Clean Development Mechanism project, and project manager for the Hopefield Home Improvement project. Karen holds a Girl Friday diploma and a certificate in project management from the University of Stellenbosch Business School. Once upon a time, in a land far away, Karen played pool for Rhodes University’s social league team. Her current hobbies include gardening and knitting. Louise is the technical project manager working on the Small Grants Facility, funded by the Adaptation Fund. 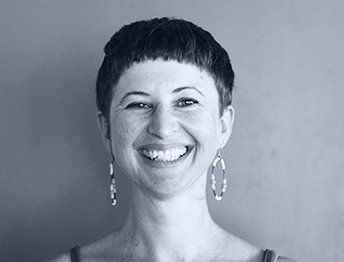 She holds a Master’s degree in Social Anthropology from the University of Edinburgh, and a Bachelor’s in Anthropology and Psychology from the University of Cape Town. Louise began her professional career 11 years ago, as a researcher for a national children’s charity in the UK, and has continued to work in the non-profit sector, mainly in the fields of agriculture and capacity building. She has worked across multiple countries including Cambodia, USA, and Zimbabwe, gaining experience in monitoring, evaluation, research, training and capacity building. In her spare time Louise provides support to a community-based urban agriculture and community development non-profit, in the Nkanini informal settlement in Khayelitsha. Themba is SSN’s Office Assistant and she has been part of the team since 2007. Her responsibilities include the day-to-day maintenance of the office, including answering phone calls and enquiries, and assisting in preparing for office events. She is also responsible for maintaining the office inventory and filing. Themba recently completed an Office Assistant course at Boston City Campus and Business College, Cape Town. Carina provides knowledge management, communications and event management support to the Climate Development Knowledge Network. She completed her undergraduate in English literature, History and Psychology and is currently working towards her Honours in Development Studies, focusing on private security and protest. 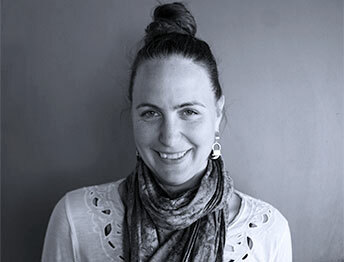 Carina has broad experience in South African civil society, predominantly working on access to information and public participation issues. Melaney is the Events & Logistics Coordinator for SouthSouthNorth, coordinating all events and travel arrangements for various projects housed at SSN. With qualifications in Project Management and Ecotourism, Melaney has spent over 10 years working in the Ecotourism and Community Development sectors within South African National Parks (SANParks) where she managed Poverty Alleviation Projects, coordinated Corporate Social Investment (CSI) programmes and developed ecotourism products for National Parks in the Southern and Eastern Cape. She has a passion for ecotourism, events management and community development and a special interest in sustainable travel. Donald is a Project Manager for the Future Climate for Africa programme. He is currently researching the motivations and challenges for the uptake of climate change considerations in large-scale hydropower infrastructure in Africa, which is a research output for the FCFA programme. 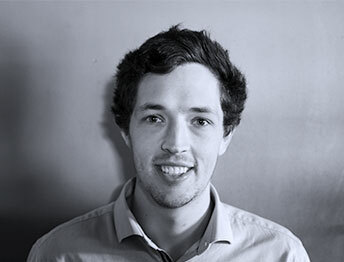 Donald’s work experience includes environmental consulting in Gaborone, Botswana and research consulting in Cape Town. 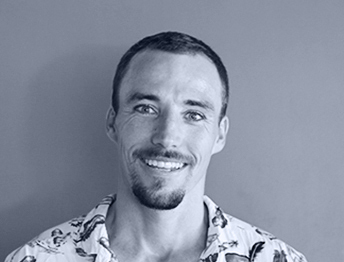 Donald holds a BSci Economics and Environmental Science and BSci Honours from Rhodes University, and is currently completing a Master’s in Sustainable Energy Development at the University of Cape Town. Samson is a Project Manager working on the Mobilising Investment for NDC Implementation programme in seven countries across the world. 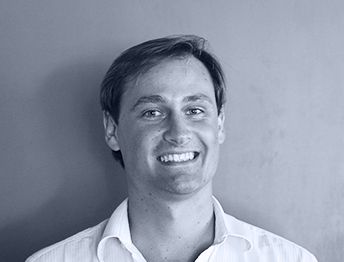 Prior to joining SSN, Samson assumed roles in data, finance and research analytics for different South African organisations, including SALDRU, HSRC, NIDS and the Davis Tax Committee. He holds an M.Com in Applied Economics and an MPhil in Energy & Development Studies – both from the University of Cape Town. His interests span the fields of energy, sustainable development economics, climate change, big data analytics and applied econometrics. Melanie plays a support role in the risk and compliance, new business development, Small Grants Facility, and data management areas at SSN. She comes from a social development background, where her 30-year career spanned designing and managing programmes in early childhood development, alternative care and child protection; science and technology outreach and education; and culminated in social impact funding as a community grant maker She is a passionate learner and generalist in a specialised world. Melanie holds degrees from the Universities of Stellenbosch, Pretoria and the Witwatersrand. 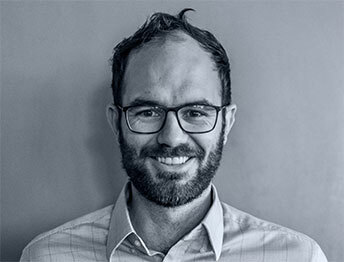 Nic is an economist who coordinates the financial management and reporting of key SSN programmes, including a suite of projects for the German International Climate Initiative (IKI). He also manages the intern hub. 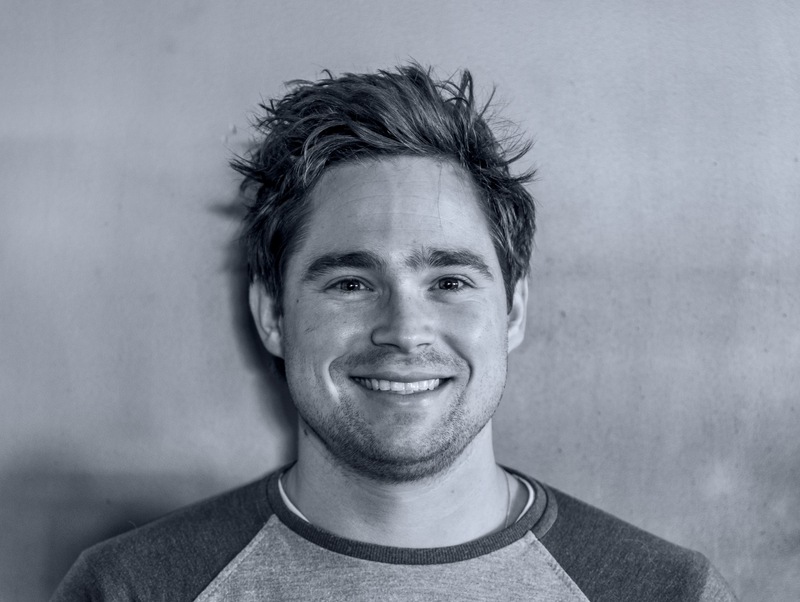 Nic was raised in Cape Town, and spent his time racing sailing boats prior to joining SSN as a consultant, and eventually as full-time staff. He is a neo-prudentist who enjoys the challenge of finding efficient solutions to systemic problems. 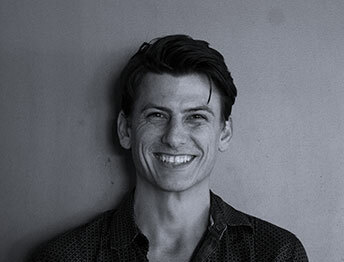 Michael is a researcher at SSN, with a focus on climate finance and related policy. He has worked on the Southern Africa Climate Finance Partnership in both Namibia and Zambia, and provided related support to South Africa’s Nationally Designated Authority to the Green Climate Fund. He has conducted research to inform Green Climate Fund policies and processes, and has contributed to various SSN research pieces on climate finance. 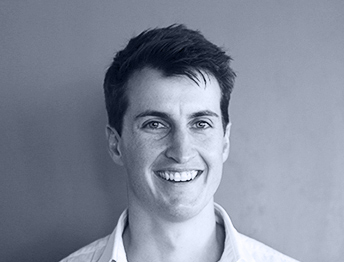 Michael previously worked for a policy think tank and a development economics consultancy. He holds a Master of Economics from the University of New South Wales, and a Bachelor of Commerce from the University of Cape Town. When outside the office, Michael can usually be found surfing waves, climbing mountains, or crafting brews. Catherine is SSN’s bookkeeper. She has more than eight years’ experience in accounting and financial reporting, and is responsible for processing accounts receivable and accounts payable. Catherine has a Diploma in Bookkeeping and Accounting from Denmark college, Zimbabwe. 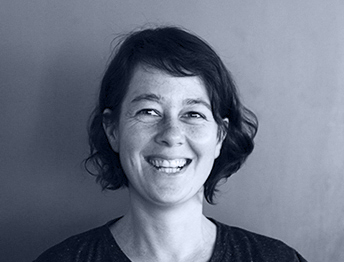 Michelle is the Programme Manager for the Climate and Development Knowledge Network, a southern-led programme that supports decision-makers to design and deliver climate compatible development. Prior to this she was the Executive Secretary of the Africa LEDS Partnership; a partnership of institutions, governments and practitioners working to advance low emission development strategies. Within SSN she co-leads the Climate, Development and Implementation Hub. Previously Michelle was the Programme Manager for the MAPS programme, a six-year partnership between four Latin American countries that spearheaded an innovative stakeholder-driven process to plan for low-carbon development. Michelle has also worked on the financing and development of sustainable energy projects in southern Africa, including the development of the Sustainable Settlements Facility. 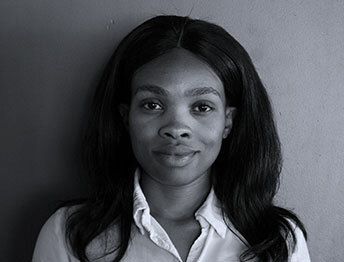 Michelle holds an Honours Bachelor in Fine Arts and is currently in her final year of a Masters Degree in Environmental Humanities at the University of Cape Town where her research interest is technical assistance practice between the North and Africa in Low Carbon Development. Marius provides support to the Small Grants Facility, Southern Africa Climate Finance Partnership and the Mobilising Investment for NDC Implementation project. Specifically, he assists project managers with operational and financial management, research, knowledge management and logistics support. 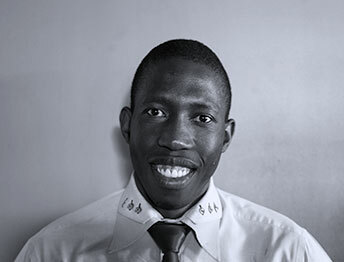 Marius holds Honours and Masters’ degree in Economics from the University of Limpopo. In 2017, he was selected as a semi-finalist of Nedbank and Old Mutual’s Budget Speech Competition. Sihle is an Operations Intern at SSN. Originally from Johannesburg, she holds a Bachelor of Technology degree in Management Services where she majored in Operations Management, as well as a National Diploma in Management, both obtained from the University of Johannesburg. 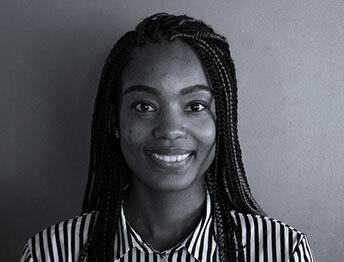 Sihle previously completed an operations internship at JP Morgan, where she was responsible for analysing and executing transactions. She is looking forward to furthering her experience at SSN, while contributing to the broader work of the organisation. 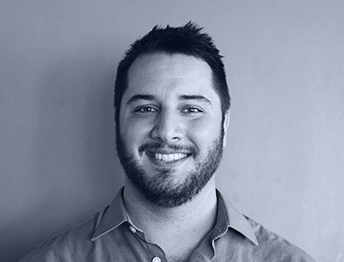 Guy supports the Operations team with financial reporting, project management and logistics. He currently spends most of his time assisting with the Climate and Development Knowledge Network. Guy qualified with a Business Science degree from the University of Cape Town in 2016, where he majored in Finance. Guy is trying to grow a cycle to work initiative, starting at SSN, with the aim of expanding to the whole of Cape Town. Beth is a knowledge manager in the Future Climate for Africa programme. Her background in an LLM in Global Environment and Climate Change Law from University of Edinburgh and a MSc in Climate Change and Sustainable Development from University of Cape Town. Before joining SSN she was at the UNFCCC in the Adaptation Unit particularly focussing on the Local Communities and Indigenous Peoples Platform. Within South Africa she has worked on climate change related issues such as energy poverty research and adaptation. She is particularly interested in how vulnerable groups of women and local communities are affected by climate change and their potential to not only be victims but active change agents. 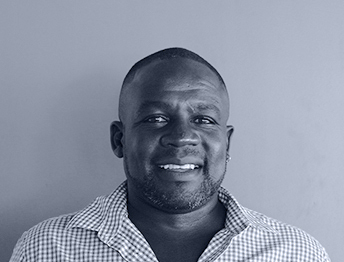 As part of the SSN Finance Hub, André assists the CFO with his day to day responsibilities and is also responsible for the financial management of SSN’s projects. He is currently completing his B.Compt in Financial Accounting via UNISA, and once graduated, André aspires to enrol with CIMA to obtain a Chartered Global Management Accountant (CGMA) designation. André enjoys entertaining friends with dinner parties, being surrounded by nature and creating art. Michael is a Project Manager for the Southern Africa Climate Finance Partnership (SACFP) backed by several years experience working in the climate governance and climate finance space on projects for organisations such as the World Bank, Climate Investment Funds, and the German Federal Minister for the Environment, Nature Conservation, and Nuclear Safety. Much of his work focusses on the use of progressive policy interventions to support transformative development pathways. 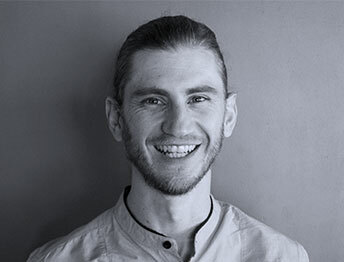 Michael is a qualified attorney and holds an LLM degree in environmental and sustainable development law from the University of the Witwatersrand; his research has focussed on the intersection of international and domestic legal regimes for the collaborative management of shared natural resources. 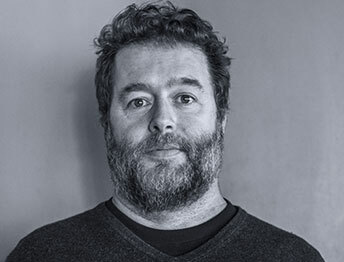 In his spare time Michael collaborates with others to create playful and engaging art installations and experiences that explore the human condition. Emily is an Associate of the SSN NPC. She is an independent consultant focusing on carbon policy in South Africa and the programmatic carbon finance mechanism, particularly its application to sustainable development. 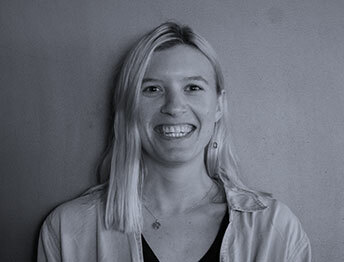 Emily has worked on innovative projects including the auctioning of carbon allowances in the first round of the UK Emissions Trading Scheme; and carbon finance for sustainable energy interventions in the Southern African region. She also works on projects relating to the study of financial and economic implications of climate change. 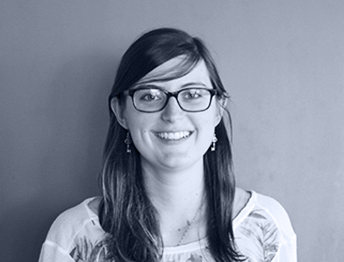 Emily holds a BCom Honours in Economics and a MCom in Advanced Financial Management from the University of Cape Town. 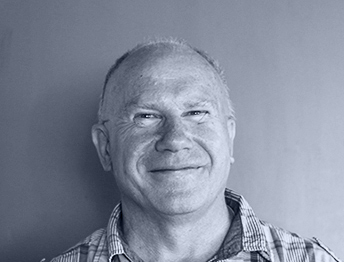 Hennie is an Associate of the SSN NPC and Trustee of the SSN Trust. Previously a partner of Webber Wentzel and now with the Corporate Law Alliance, Hennie has specialised experience in structured finance and cross-border transactions. He has worked on the development of legal and tax technology in areas including preference share finance, share loan transactions, share repurchases, derivatives and carbon credits. Rated by International Tax Review’s Global Report on Tax Advisors as a leading advisor, he also advises various multinational clients in the energy and retail sectors. 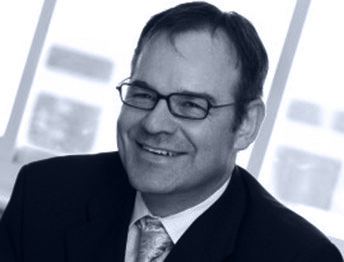 He sits on the SAICA Tax sub-Committee on carbon tax and has authored several articles on the subject. Saliem is a Trustee of the SSN Trust. He is currently the Head of the Policy & Futures Unit at the World Wide Fund for Nature South Africa. Previously, Saliem was a Senior Lecturer at the Department of Public Administration and Planning and an Associate Director for the Centre for Renewable and Sustainable Energy at Stellenbosch University where he taught a course on renewable energy policy and financing of renewable energy projects. He also served as Director of the World Conservation Union South Africa (IUCN-SA) office for eight years. 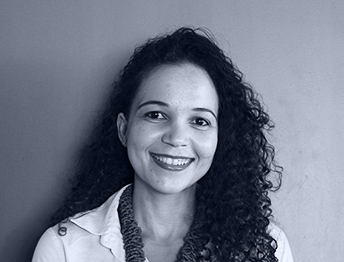 Saliem writes for Engineering News, Business Day and the Daily Maverick and serves on a number of boards. Saliem has a B.Sc Honours in Molecular Biology (WITS), a Masters in Environmental Science, Wye College London, and completed a senior executive management course at Harvard University in 2000.